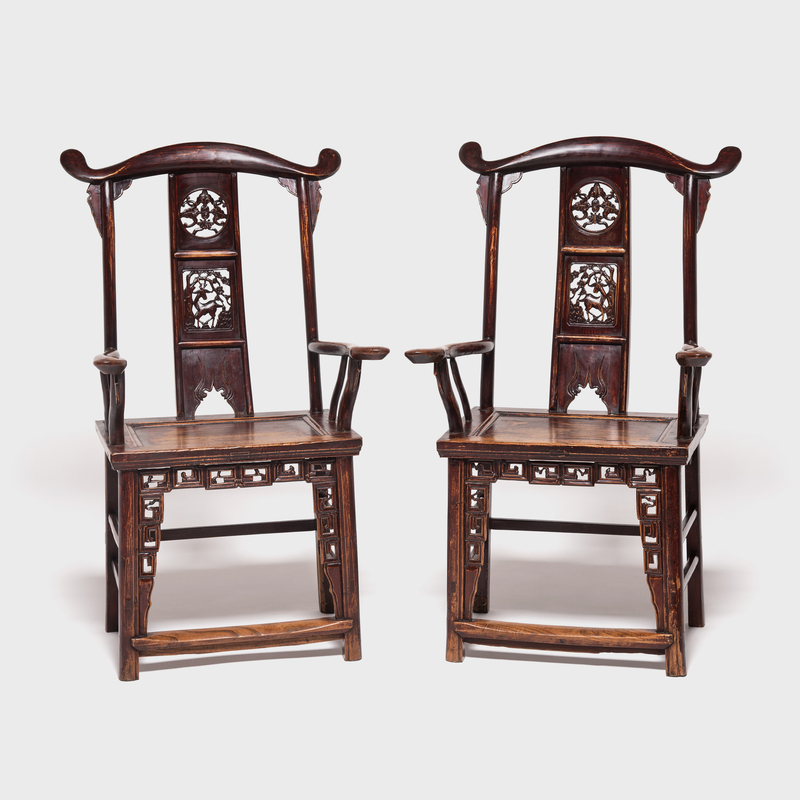 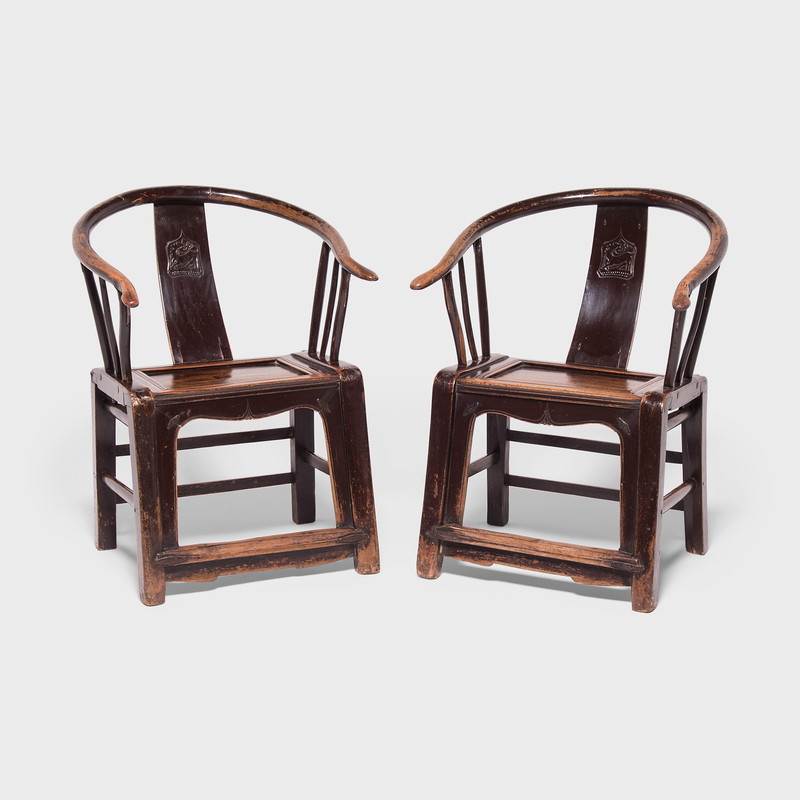 W: 25.5" D: 22.25" H: 34.5"
For these elegant 19th-century elmwood chairs, the devil—or deer, as it were, is in the details. 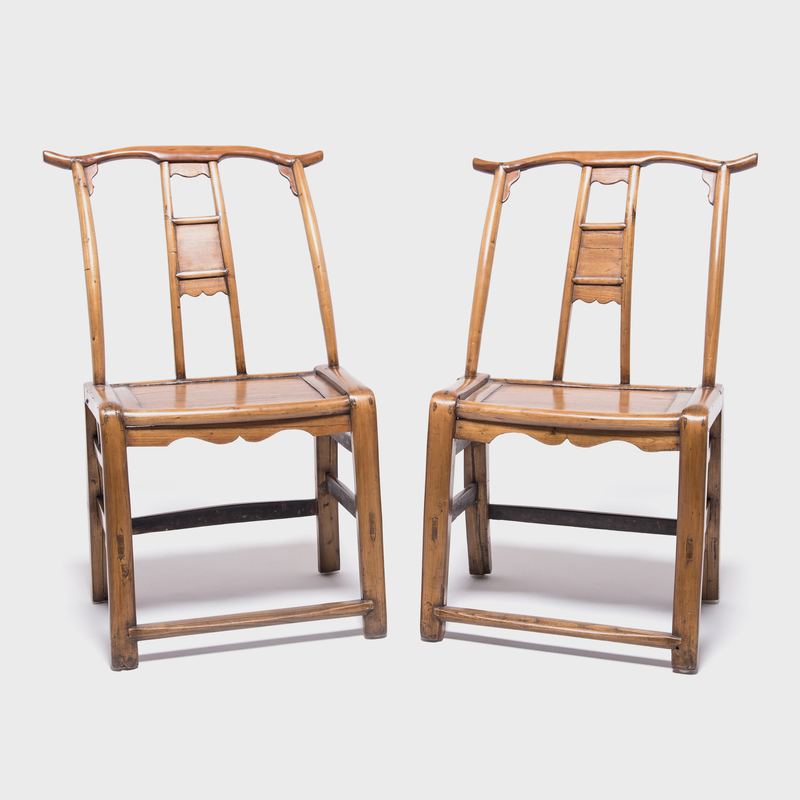 Masterful mortise and tenon joinery defines the chairs' seamless end-to-end construction, and their round backs were achieved through a centuries old process of soaking, bending, and heating the wood to form. 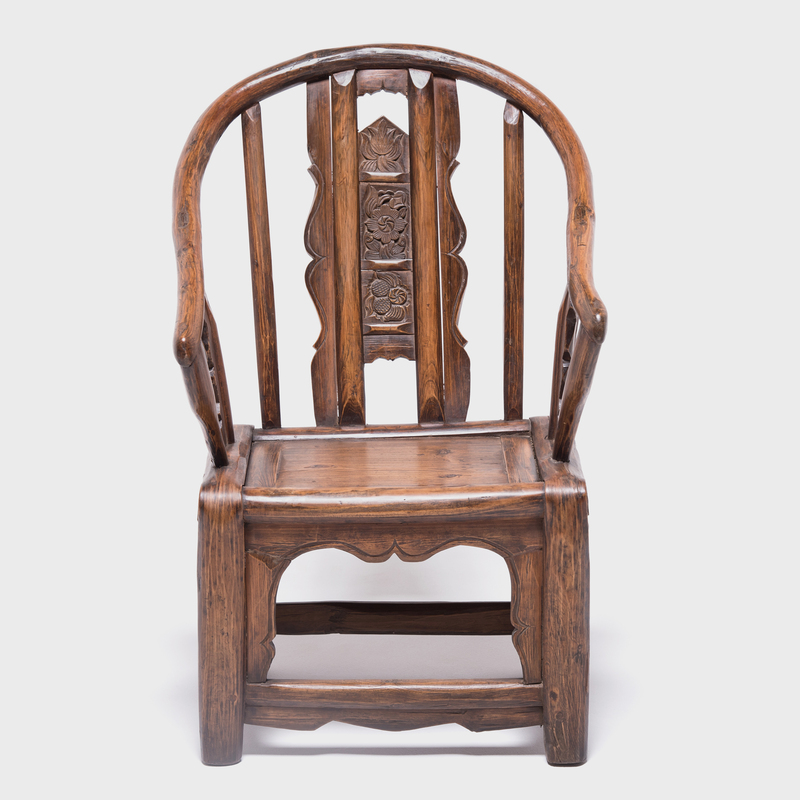 Time has lent the wood a beautiful contrast of rich brown hues, subtly lighter on the seat, the ends of the arms, and the footrest from day upon day of use. 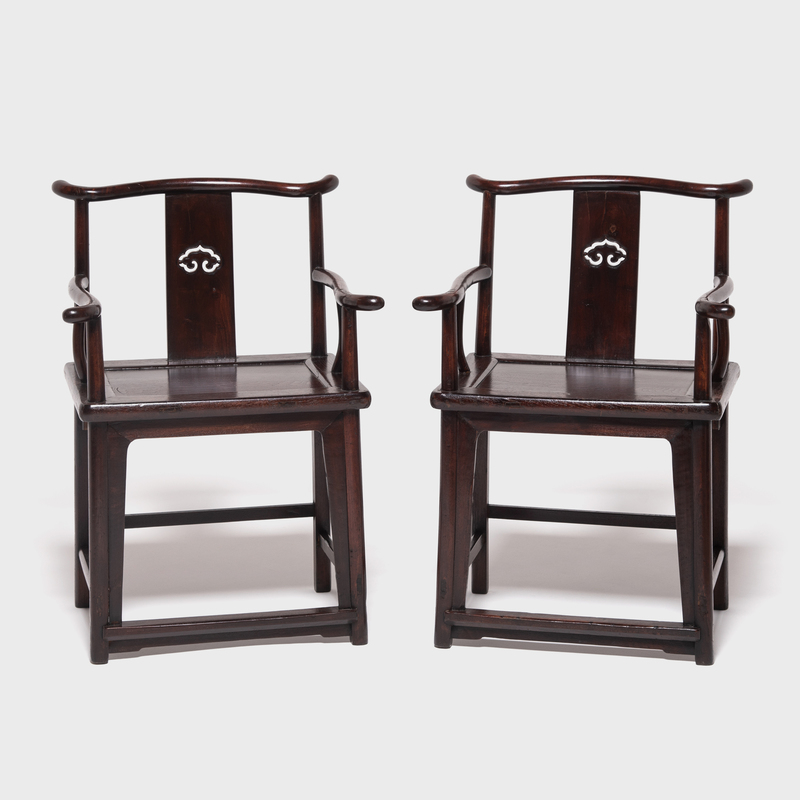 The deer carved into the back splat of each chair symbolizes a wish for success and is commonly used to represent prosperity and professional advancement.